After entering numbers 1 through 88, random.org chose number….13!!! That would be Jennifer Holderby! I’m sorry that I don’t know how to take pictures of computer pages–so you’ll just have to trust me with the number. Jennifer, I’ll be emailing you in just a minute to get your address so that romantic evening can start making it’s way to you. Thanks to everyone for playing along! We are making pureed cauliflower, or as I like to call them around here “Gluten-Free Mashed Potatoes.” Some of you may be asking (as our friend Tommy did to our entire Community Group when he came to visit before Christmas). “What is a gluten?” I have Wikipediaed it if anybody wants to get technical: gluten definition. But for all practical purposes, this is what gluten means to me: NONE OF MY NEW FRIENDS HERE CAN EAT ANYTHING THAT I COOK!!! Stop with me for a second, catalog through your “company” recipes for some that don’t involve flour, potatoes, sugars, preservatives… It was jarring at first. 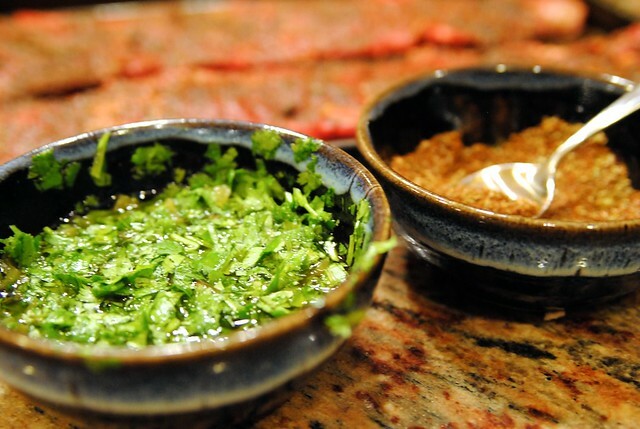 I found that I sprinkled at least a teeny bit of sugar (be it white or brown) in almost everything–including vegetables, marinades, and salad dressings. However, after getting my mind around it, and sampling some of my friend’s fair, I must say that I have discovered the deliciousness of whole new foods that I never touched before (cauliflower, brussell sprouts, raw foods…) and this little recipe was the by-product of not being able to bring myself to serve a meal without some kind of starch on the plate. Now, every time I make a “gluten-free” meal, Jeremiah claims that HE wants to go gluten-free. Gluten-free has come to equal good in our house. How about I stop introducing the recipe and just give it to you already? First, put a large pot of water on the stove to boil and wash your cauliflower. Yes, we are going to eat this junk, and we are going to like it. 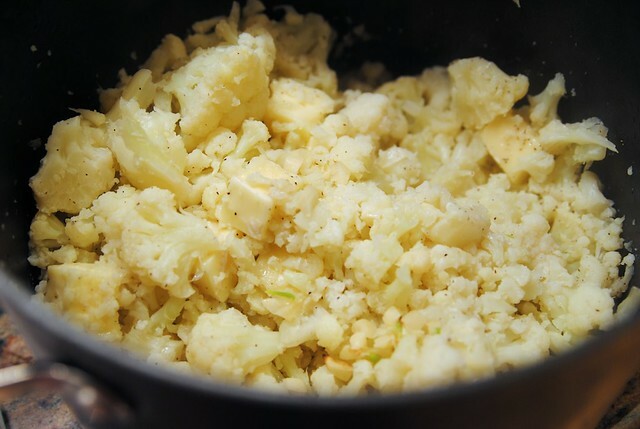 Cut off the florets of cauliflower and discard the hard center and leaves. The cauliflower looks sort of intimidating and solid when you hover over it to make the first cut, but just dive on in with your knife and you’ll find it looks a lot like broccolli on the inside. I bet y’all are laughing. Has everybody been eating cauliflower without telling me? You let me come out here all alone to face food sensitivities and cauliflower! This is the quickie way, but they are better if you use a little olive oil, cover them in foil, chop the tips off an entire head and cook for half an hour. Who has time for that? 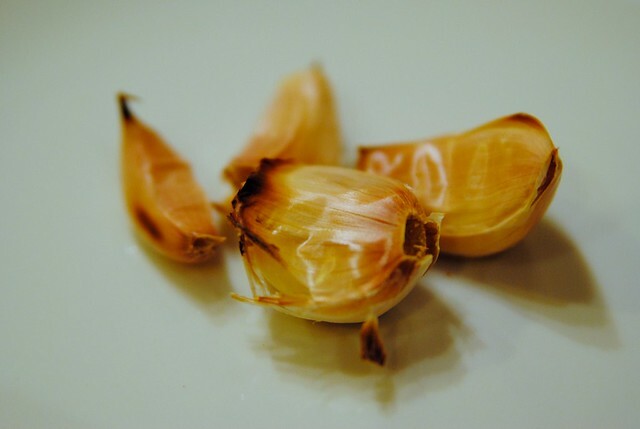 Your water should be boiling about now, so toss in the florets and cook them until they are tender (about 15 minutes). You want to be able to easily spear them with a fork, but don’t let them go to total mush. While they’re cooking, unwrap the delicious goodness. Thank the good Lord above that even the most strict of diets usually allows for aged cheeses like Brie. And cut off the nasty rind that makes it smell like an old folks home. Then cube the yummy inside. It's ok if a little rind remains. Tell your OCD to back off. 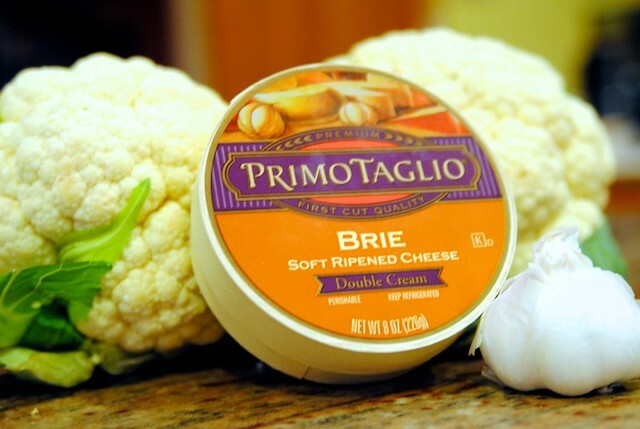 Drain the cauliflower, chop up your garlic (unless you took the 30 minute route–you perfectionist, then you can squeeze in the garlic instead of chopping it), and stir in the Brie. Add salt and pepper to taste. Please don’t forget that. Finally, spoon it into a food processor (in batches, unless you have a ginormous one) and puree until smooth. I started to push the globe out of my picture but then I thought you all might get a kick out of the fact that while I was making dinner, taking pictures of it, and trying not to burn the meat--my husband was trying to give me a geography lesson. I kid you not. 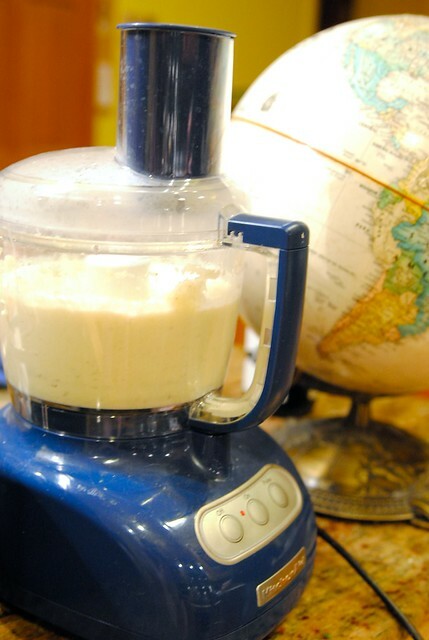 A Kitchenaid mixer will not give you the consistency of mashed potatoes. You will be eating lumpy taters in a watery suspension and your guests, even if they are gluten-free and desperate for a plate of mashed potatoes, will not be excited about it. 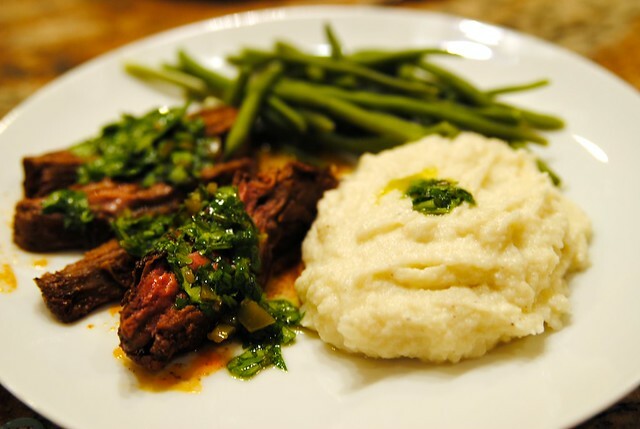 I served my potatoes with Martha’s chili rubbed skirt steak and green salsa. The green salsa is Martha’s as well, but I couldn’t find the recipe anywhere on her website. The ingredients are listed above, in the caption. Jeremiah said it was one of his favorite meals ever…And I’ve decided I like Gluten-Free Mashed Potatoes better than the regular ones. They just have more flavor, and I feel like I’m doing something good for us. Now that’s saying something for a vegetable I wanted nothing to do with a few months ago! I used skirt steak, but I think either would work. This looks delicious! I’ve never been a cauliflower fan, but I would try this for sure. Now, potatoes are gluten-free, yes? (I Googled to check, but that doesn’t guarantee much). So could this recipe maybe be made with potatoes? 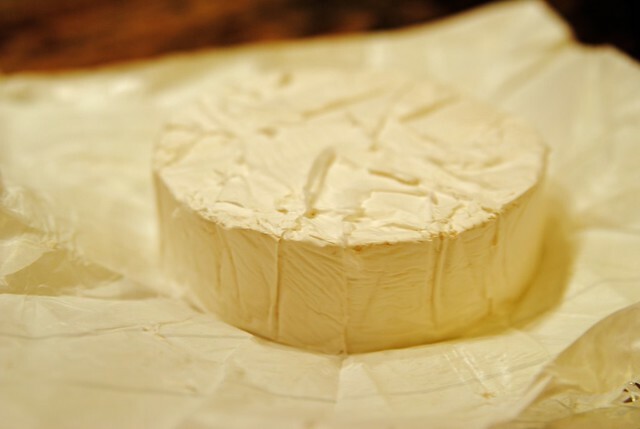 Your pictures are gorgeous – that one of the brie is making me want to consume a whole wheel of cheese right this instant! First-I hate Cauliflower or so I thought but something about the pictures and the fact that the Jordan household loves brie so I decided to attempt it! This recipe was SO GOOD!!! Thanks Abby for the G-free side =)!! Second- Love the new blog!!! Looks great! We so enjoyed last night, you and Jeremiah are so encouraging and we love every minute spent with you both!!! I just recently discovered your blog and love it! I have Celiacs disease so I become extremely ill if I eat any gluten so it is great to have a new dish to try! Also just wanted to let you know that fresh potatoes and sugar actually don’t have any gluten in them (splenda or french fries are a different story.) Thanks again! from what I understand, the rind is edible. i never heard of removing the rind and i am not a cheese expert, but i have seen plenty of cooking shows featuring brie. so of course I googled the word. 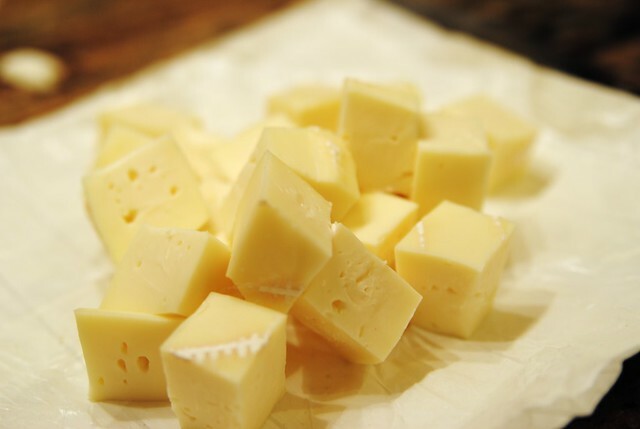 probably would not have done so– I heard that if one saves the edible rind of other hard cheeses, the economical cook uses them for flavor and a thickener. the rind is just dried out cheese — there are all kind of nasty smelling cheese for sure— and there is one that is illegal in Italy that is all i will say yes, google illegal cheese . OK- so I REALLY do not like cauliflower, but you are tempting me! Just came across your blog. I tried the cauliflower mashed, once. I made the mistake of using the hand held mixer, and it was just as you described, a mess. I will try your recipe! We love cauliflower. Recently discovered a recipe for a cauliflower pizza crust that we are CRAZY about and make it ALL the time. Also heard you can rice your cauliflower, and use it as a substitute for rice. You have a beautiful blog!